It’s safe to say that Céline has recently been having a bit of a moment. For the Céline Boston Luggage ‘It’ Bag, however, this moment has become more of an era since the Boston collection hit hard back in 2010 with an impressive sell-out performance. 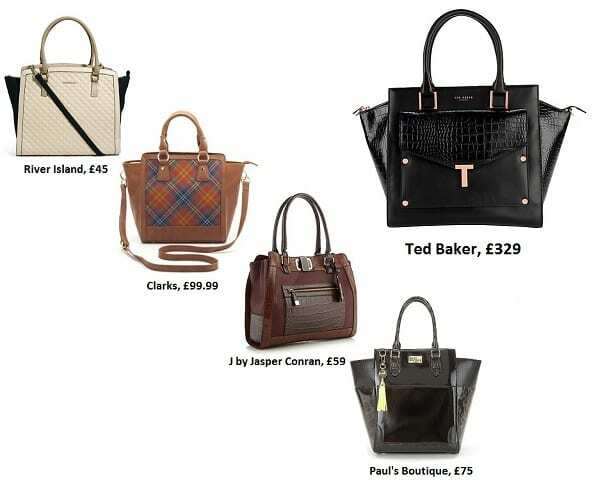 Seen on every celeb from Oprah Winfrey to Dakota Fanning, and on Kate Upton and Reese Witherspoon only last week, the bag has been gaining rapidly in appeal with Harvey Nichols reporting its highest ever sales of the bag earlier this year. So what’s the big deal? Well, the Luggage Tote is a bit of an all-rounder. Its rigid square panels lend it a firm structure, whilst the soft, high-quality leather and winged sides also keep it contrastingly relaxed at the same time. As well as this it strangely manages to look both modern, thanks to its strong framing and subtly complex detail, and also classic in its chic simplicity. Yes, if ever a bag could be deemed a material paradox, this would be it. But what really pushes the Céline tote far into the lead is its innate practicality. The winged sides allow for maximum storage room and its many zipped pockets make it organised and secure to boot. To top it off, the Céline reeks of durability – here’s a bag which actually won’t fall apart in your hands a year down the line. All this and prices for the standard Mini-Luggage Tote start at only… err… £1800 – and this is increasing by the season as Céline realise their rising street cred. It’s also pretty difficult to get hold of one of the bags over here in the UK, even if you did have the cash to splash. Here to save the day as always, I bring to you my round-up of the closest looking alternatives from the British high-street. Yet whilst there really is nothing quite like the real thing, I’ve managed to find a small handful which hold individual elements of the Boston tote’s appeal. If it’s the square shape and wings about the Boston tote which have you salivating then opt for River Island’s quilted number or Clarks’ tartan version which has the added bonus of nodding to A/W 2013’s punk spirit. If you prefer the trend for all things animal this season then J by Jasper Conran have a very hardy looking bag to offer with croc panels as well as the eye-catching front zip-pocket as featured on the newer Céline designs. Paul’s Boutique’s answer to the ‘it’ bag also features animal detailing, with patent leopard print on the side-wings. The best of my alternatives, however, also unfortunately happens to be the most expensive – the Ted Baker bag manages to bring structure, zip-security, wings, pockets and contrast patent croc panelling all to the table. Although at £329 it’s still only a fraction of the cost of the real deal!